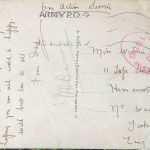 At a recent meeting of local family history society, I was shown a set of three WW1 postcards. 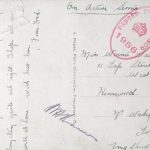 During the society notices the postcards were mentioned as they had a local connection – did anyone know the family or the surname? No one came forward. In the likely hood that no one came forward I had already I volunteered myself the task of finding who the people were – the sender and the recipient. 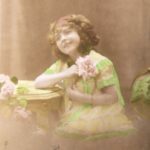 Each of the hand coloured postcards portrayed pretty young girls in various seated poses, each one held or had a posy of flowers. The 100-year-old cards were nice but what was written on the back was even more interesting, well it was to me. After leaving the cards alone for a few days I sat down with them and with a couple of minutes I had the family in 1911. A few minutes later I had the service and pension records of the father of the family. Who were these people found in records over 100 years later? They were Winnie Sayles and her father Ernest who sent the cards to his daughter while he was in France during March of 1917. Ernest had been born in 1885 in Kirk Smeaton, Yorkshire, the son of William and Annie. In 1891 the family were living at Cistern Cottage, Hemsworth, where William aged 28 worked as a railway platelayer. Ten years later, their home was now on Sand Hill Terrace, Hemsworth where a young Ernest was a chemists’ apprentice. In the winter of 1906, Ernest married a young lady named Sarah Briggs and the following year their daughter Winnie was born. A few years later the family were living with Ernest’s parents and a lodger, William Wilson, at 11 Top Street, Hemsworth, the address to where the postcards were sent and my initial find with the 1911 census. Ernest was now working as a cycle repairer, probably as an agent for a larger company. The years passed and on the 11th of August 1916, Ernest, now aged 31and a mechanic and dealer Attested to the ASC (Army Service Corps) and became Private, M2/201741. He did seem to be a bit picky on where he served as question 9 Are you willing to be enlisted for General Service? Ernest answered Yes, with Motor and Mechanical Transport. Not sure if that went down too well with the recruiting officer as after Yes, has been struck through. There are only three pages of Ernest’s service record but they do give quite a bit of information. Firstly, information as to his address of 55 Doncaster Road, Goldthorpe, Rotherham. His wife is named along with her maiden name and the date of their wedding – 21st November 1906 in Hemsworth Catholic Church, Next are his children and their place and dates of birth – Winnifred Annie, 31st October 1907; Agnes, 23rd June 1911 and William Edward 13th October 1914. The postcards are dated, even though the date stamp is very faint, between the 3rd of March and the 18th of March. 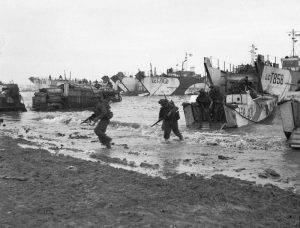 The day following his last postcard Ernest is reclassified as a Technical Storekeeper and on the 11th of January the following year Ernest is ‘Discharged, No longer physically fit for war service para 392 (XVI) KR. Following Ernest’s discharge, curiosity leads me to wonder why and thankfully there are pension records surviving that can answer that question. There are 13 pages of these records and they include much of the information a service record would, however, this set of records contain much more. They are not in date order so I will go through page by page and pass on information about the father of our family. The Pension Record Card for Ernest gives a name; date of birth; rank, regiment and service number – which is expected; date of examination; details along with invaliding disability and degree of disablement plus a short medical report. All very interesting headings but the information contained under those headings answers some questions. Ernest was medically examined and was given the diagnosis of Dilation of Myocardium in December 1916 and given a 20% disability. He had been also examined in France – Dyphoera (?) and Palpitations. The card continues with examinations taking place in Sheffield, Barnsley and Wakefield. Ernest complained of shortness of breath, sleeplessness but overall was well nourished. Although the medical examiners writing is quite technical there are some words that can be understood, including – intermittent and irregular sounds, becoming very faint, ‘has a large hypertrophied heart and definite aortic sclerosis’ when talking about Ernest’s heart. As I’ve already said Ernest’s medical history started in France in December 1916 which was noted in a Medical Board Examination in December 1917 wrote ‘Not the result of but aggravated by military service, overstrain and hard work. Impossible to state if permanent.’ Ernest’s time in France lasted less than 12 months (6 September 1916 to 31 May 1917), having served at home from 9 Aug 1916 to 5 September 1916. Ernest was discharged from Woolwich Dockyard on the 11th of January 1918 aged 33 years and 6 months old. Whoever completed the form included the wrong age for him and it was struck through. He was 5′ 8” tall and a fully expanded chest of 35½”. He had a fair complexion, grey eyes, light brown hair and had three moles on his back and had a good character. The Medical History for our soldier seems to have made him shrink ½”. Added details include that he weighed 125lbs and the moles were between his shoulder blades. He also had two vaccination marks. 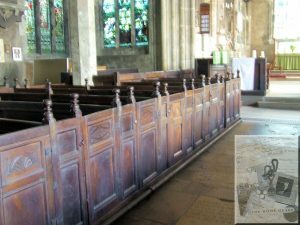 This document also includes Ernest’s birth parish – Kirk Smeaton. Although these Pension papers are not in any order and while writing I feel his life is a little disjointed I do hope that the information is of interest. One more printed sheet tells that in May to July of 1917 he was in Tooting Military his with abscess of lids – Patient was admitted with boils on neck which resulted in complications. As we already know, Ernest left France in May of 1917 – the day he was admitted to Tooting Military Hospital, which was were, after his medical complications, his heart problems were discovered. And it was that Ernest left the army with a Conditional disability and was given a 24/- pension plus 14/1 for two children – what had happened to the third child he had previously been given a small pension for? His degree of disability going from 20% to 60% in 1922. An SWB (Silver War Badge) number 315,128 had been issued to Ernest when he had been discharged due to sickness (KR 392 (xvi) 2 (b) I). This document gave his date of enlistment as 12 December 1915, which contradicts his date of Attesting in August 1916. Did Ernest and Sarah live long enough to be recorded in the 1939 Register? Yes, they did! 6 Parkhill Avenue, in the Dearne Urban District was where the family called home. Ernest confirmed by his date of birth, 29th June 1884 was a Public Assistance Clerk; Sarah, born on the 22nd November 1882 was UDD (Unpaid domestic Duties) and William Ed. Born on 13th October 1914 was the only other visible entry – the other three being officially closed. Winnie, the recipient of the postcards married Edward Gray in early 1940 in the Doncaster Registration District. Sarah, Ernest’s wife died on the 14th of January 1955, a day that has special significance for my family. Don’t you find that in family history there are many coincidences, some stranger than others? This entry was posted in General on April 23, 2019 by carol. Fred Stringer, or is he? Who is Fred Stringer, you may ask? Why is he deserving of a page in my ramblings? Fred has been mentioned before. Where? In my previous blog about Arthur Moorhouse. Remember near the end I said I would tell about ‘Betty and Fred’. It seems their time has come! Starting from where my interest in Fred began while looking for a Service or Pension record for Arthur Moorhouse, his brother, I came across an entry for ‘Arthur Moorhouse, Wakefield, brother’. Could this be the Arthur I was looking for, well yes it was, but in the wrong context – I wanted a soldier, not a brother. But saying that, and after a little diversion from Arthur I found something just as interesting – his brothers Pension Record – a bonus and interesting. 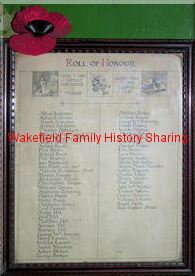 The record set opened and told me Fred’s relatives – his mother was Betty Moorhouse of 23 Warrengate, Wakefield. 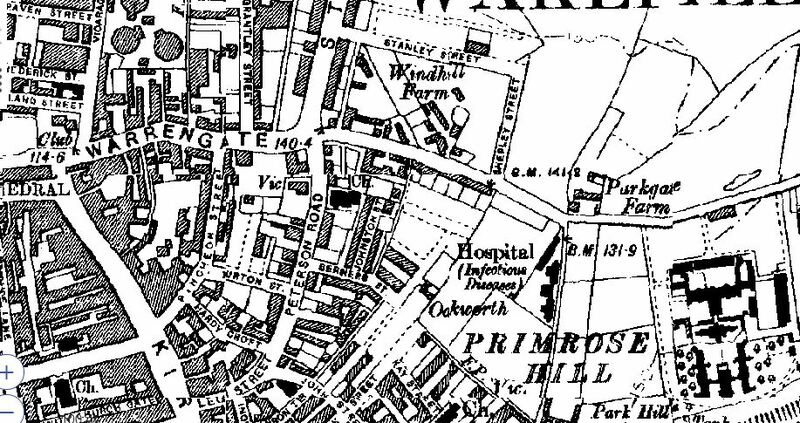 His elder brother was William of Briggs Yard, Northgate, Wakefield and two younger brothers, Arthur (we know of) and Ezekiel, both of Warrengate. This family were all mentioned in Arthur’s section and confirmed in census records. Fred’s Pension Records – Fred Stringer of Ossett near the town of Leeds, according to his Attestation – don’t start me on that one! Was nearly 21 when he signed before a local magistrate in Leeds in November 1911 and on the same day he was determined to be fit for the Army. Have you noticed the name difference? Fred is a Stringer, while his mother is Moorhouse. Fred seems to have changed his name as on his and his siblings’ baptism records he is the son of a single woman, Betty Moorhouse. Anyway, back to Fred’s Pension Records. Fred 5ft 6½ in I height weighed 154lbs. He had a 37½ chest which included a 7-inch expansion – seems quite large compared to other records I’ve seen but could be an error or bad writing on behalf of the medical staff. His complexion was fresh, he had blue eyes and fair hair and gave his religion of C of E. Fred had a scar on his scalp, a mole on his right forearm and one on his left shoulder. His pulse was recorded as 80, you don’t see that mentioned a lot in records. So, Fred Private 7721 was in the Hussars. It looks like Fred’s service got off to a bumpy start, as after being in the army only three weeks, he is in the Guard Detention Room from the 23rd of November to the 20th of December (given 28 days and loss of pay until he made good the sum of £1 12s 11d in respect of his kit). All former service was forfeited. Service not allowed to reckon. His service began again on the 15th of December 2011. Fred was posted to the 18th Hussars on the 15th of March, 1912 BUT the day before, the 14th, he is ‘Declared a Deserter’. Towards the end of April, he was given 35 days for being ‘Absence without Leave, making the Detention Barracks his home once more. . 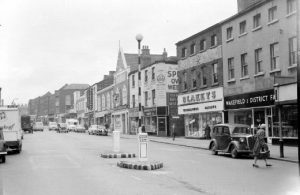 Working through his service records in order and not always in date order, he gave his next of kin as his sister Jane Reed of 20 Vicarage Street, Wakefield. Jane Reed answers another question posed in Arthur Moorhouse’ entry – who was the Reed who completed the 1911 census for Betty and her family – seems that one is now answered, could it be her son in law? While looking through this recordset I have been wondering why Fred joined the services in the first place. He was posted again in May 1912 and by the 6th of the following month was absent again. He was in custody by the 15th of June. In July he was tried by DCM and sentenced to ’84 days and to be discharged with **ming for (i) Deserting his Majesty’s Service (ii) When a prisoner in confinement attempting to escape. The sentence has bee confirmed by GOC 2nd Cav Bde. who raises the sentence to read ‘To **dey detention for 84 days’ All forms forfeited on conviction desertion’. And so it goes on – Detention; Absent; Stop Pay; Disrespect for uniform. And so it was on the 25th of May 1914 he was Discharged for Misconduct under paragraph 392 (xi) Kings Regulations. Fred’s Application for Discharge confirm his age and height but also include the reasons for discharge with his character being marked as BAD. A footnote told ‘I do not know whether this man misconducted himself with a view to discharge but I have no reason to suppose so’. Signed by C H Corbett, Major at Tidworth. The plot thickens as on the 10th of November 1910 Fred Moorhouse Attested in Wakefield, joining the Royal Artillery as 62880. And so on to his description – 5ft 6½ inches in height. Weight 152 lbs. . He had a 39-inch chest with a 4 in expansion. With a fresh complexion, grey eyes, light brown hair he told his religion was C of E. He had a pulse rate of 70 and still had a scar on the back of his head. Again he was found to be fit to join the Royal Regiment of Artillery in Halifax. He was given the rank of a driver and posted on 27th of November 1911. By the 11th of June 1911, he had deserted at Newbridge. The next few lines tell ‘Fraudulently enlisted into Corps of Hussars of the Line on 1.11.11 as no. 7721. 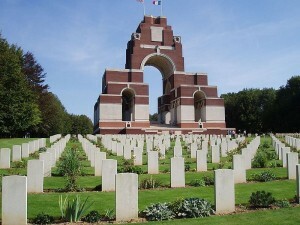 Pte: Fred Stringer and held to serve therein’. The next page seems to be where we began Fred’s tale, with his mother and siblings. Is there any more to tell? Just a little. The Attestation for service in the RA gives Fred’s occupation as Rural Labourer, a change from carter. He had been vaccinated in infancy and in later life. In October of 1912 and also in May 1913 Fred had been admitted to hospital in Tidworth with boils, the cause of which were not known. And so Fred’s service records end. He seems to be a bit of a character but at least consistent in his actions. One question remains – why did he enlist under the surname of Stringer? This is where Arthur and Fred’s lives cross as I omitted some information from Arthur entry. 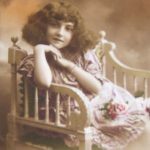 In 1881 Betty Moorhouse was aged 24, employed as a rag sorter and living with her daughters, Anna aged 5 and Elizabeth Ann aged 2. Fred was baptised at St Paul’s. Alverthorpe on the 26th of November 1890 after being born on the 22nd of December 1888. He was registered and baptised as Frederick Stringer Moorhouse in the first quarter of 1889 – where did the Stringer name come from that he used later in life? The answer is to be found in 1891 – Betty Moorhouse was now living at 5 Blakeys Row, Alverthorpe. She was now aged 34 and had 5 children living with her, including 2-year-old Frederick. But the head of the household was one William Stringer, aged 36, a joiners journeyman, with whom she said she was cohabiting. Does that answer the question, I think it goes a long way to do that, don’t you? But to continue on to 1901, where Betty is now saying she is the head of the house. She has 4 children with her – some have moved on but Arthur and his younger brother are included, as is, William Stringer who is now a lodger. I find it fascinating the twists and turns families take and lead us in wrong directions, but not so Betty and her brood. Ten years later in 1911, Betty once again, tries to confuse the later generations when she classes her self as a widow! Did she try to have some form of conformity in her life, a little bit of respectability, or had she and William been together so long it was taken for granted by the community they were married………….who knows. But it does go some way to answer the question of why Fred enlisted as a Stringer and a Moorhouse. But not the more burning question of why he enlisted twice. I think that one lies with Fred himself. William Stringer died in the summer of 1907 aged 55. Betty Moorhouse died aged 64 in 1920. Frederick S Moorhouse born in 1888 died in June 1957 aged 69. This entry was posted in General on January 13, 2019 by carol. After being in France only a fortnight, Pte. Arthur Moorhouse, of the 10th Batt. 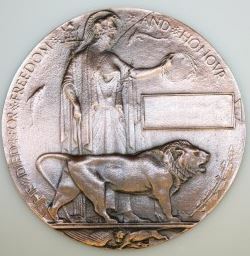 York and Lancaster regiment met his death in the battle of Loos. He was 23 years of age, and lived in Warrengate, Wakefield. Pte. S H Whitehead, of the 10th Batt. K.O.Y.L.I., who lived in Pinderfields Road, Wakefied, has died of wounds. He was only 18. “While ever someone says my name, I did not die”. Let’s say his name again…………. Arthur Moorhouse. Firstly, Arthur Moorhouse, for no other reason than he was mentioned first in the Sheffield Independent article dated Saturday 16 October 1916. With only a name and a regiment for me, there is only one place to start – The Commonwealth War Graves Commission website. I’m starting there due to the fact that in the census, although, the newspaper says he was from Wakefield, he may not have been born there and there is an awful lot of Arthur Moorhouses dotted up and down the country, plus he may not have lived at his address in Wakefield for long. For me, the CWGC website will give back more information than I have to input to find him. Luckily there are just 9 Arthur Moorhouse’s in their records. If he had not been there it would have more than likely meant that his first name was cut short to just an initial. Luck was on my side! Well, somewhat on my side. With one search, there he is. Moorhouse, Arthur, Private, 19770. York & Lancaster Regiment. Died Sunday, September 26, 1915, and that was it. No next of kin attributed to his entry. I do, however, know more than I did a few minutes ago. Next recordset. The Medal Cards. This set tells, obviously, which medals Arthur’s next of kin were able to apply for – Pip, Squeak and Wilfred. The theatre of war in which he fought is given as France along with the date of 10 September 1915 when he arrived. His death date is given as ‘KinA 26.9.15’. On to the next search, this time, Soldiers Died in the Great War (SWDTGW) – there he is. I find this set of records very informative as they can tell quite a lot if there is no surviving Service Record, as in Arthur’s case. Anyway, I’ve still not looked at a census, hopefully, this could lessen the search when I get there. It seems that Arthur was, according to SWDTGW, born in Scarborough and moved to Wakefield sometime after. We know his date of death, so that’s nothing new, but what I didn’t know was that he enlisted in Pontefract. 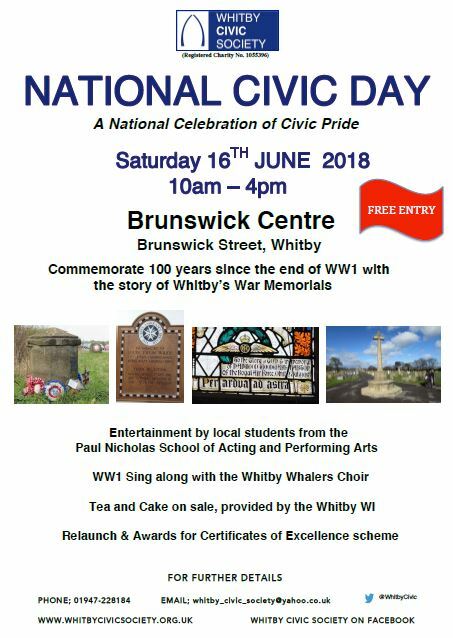 Most of the other information was already know but one little gem of information stood out – Arthur had previously served as 18488 in the Yorkshire Light Infantry – bonus! On to the next set of records – the Army Registers of Soldiers’ Effects and with the absence of a service record this can give, hopefully, a next of kin. I am not let down, there it is written in dark blue ink ‘Mo Betty’ (mother Betty) followed by confirmation in bright red ink ‘Mo Sole Leg Betty’. Betty was to receive in 1916 the sum of £1 11s 2d, followed by a War Gratuity of £3 10s in 1919. Not a lot for the life of a son. Sadly, the family, like many others, have no place to mourn. No headstone to include a private tribute to a fallen son. Arthur is remembered on the Loos Memorial with over 20,500 casualties with no known grave. The site is also the final resting place for many, many Commonwealth soldiers who are marked with the well known CWGC headstone. I’d looked at my usual record sets, with only one not visited yet. I was dithering thinking, no he would not be included there, but as I used to tell to my class a few years ago, it was always better to have a look and waste a few minutes and find nothing, than miss something that could be of use later. So with my voice ringing in my ears, I followed my advice. 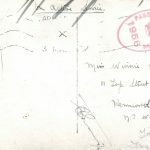 I am so glad I listened to myself and visited the WW1 Pension Records. I wondered why good old Ancestry had opened up on a page in the middle of a set of records, but they were records of a Moorhouse of 23 Warrengate, Wakefield. Betty was there as the mother. Whose records were they? Time to scroll to the beginning. Well, that was a shock as I found who the record was for and continued reading the pages – he was a bit of a character. These were the records of Fred Moorhouse, the elder brother of Arthur. Fred seems to warrant a blog all to himself. Anyway, Arthur is there, in these records, mentioned as being relatives of Fred. So much has information has been gathered as a result of a few lines in a newspaper – not even a local paper, at that! It’s census time – 1901. 33 Georges Square is home to Betty and her family – Esme aged 16; Frederick, aged 12; Arthur, aged 8 and Ezekiel, aged 7. There I one other brother, William but he has left home. Betty, the head of the house, tells the enumerator she is a single woman working as a worsted spinner. Do you remember when I looked at the SWDTGW and Scarborough was given as Arthur’s place of birth, well that now differs – Alverthorpe is now his place of birth. But could that have been confused with New Scarbo’? Who knows? Ten years later things all change. Betty is now a 53-year-old widow working as a shopkeeper on her own account (from home), born in Ossett. William is a pipe fettler in an iron foundry, born in Wakefield and Ezekiel is a wetter off in a local glassworks, again born in Wakefield. Home is 23 Warrengate, three-roomed house. Betty did not complete the compulsory form herself, A Reed, was tasked with the job. Who was A Reed? Was he a friend, a neighbour or even a relative? Betty, was she a widow or a single woman? Whichever, she had born 13 children and sadly lost half of them before the 1911 census. Could Arthur baptism entry answer this question? Yes, it does and answers another question I asked earlier. In Alverthorpe parish on the 24th of July 1894, Arthur was baptised along with his younger brother, Ezekiel. Arthur had been born on in February 1891 with his younger brother following on May 10 1894. Betty seems to be the only name recorded on these entries – I’m leaving you to make your own conclusion. But home was New Scarboro’! I don’t want to go off on a tangent and take away anything Arthur, I do that a lot? But it seems that Betty and Fred also have a story to tell. The first paragraph of my ramblings give you, the reader, the sense that another person is to be mentioned, Private Whitehead, was that second soldier but alas, he will also have to wait a little longer to have his story told. This entry was posted in General on January 1, 2019 by carol. Ernest W. Litherland, RFC, The Grange, Monckton. Ernest W. Litherland, The Grange, Monckton. John Edward Litherland, born in Darton, was married to Edith Mary nee Braithwaite who he had married in the summer of 1889. 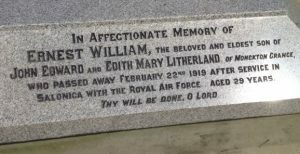 Their first child Ernest William Litherland was registered in the same quarter the following year and baptised in the Parish Church of Darton on the 13th of July. By the time the census was taken in 1901 the family had grown a little – John was by now 37 years of age, his wife was 30. 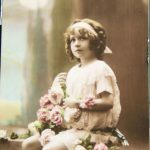 Their children ranged from Ernest aged 10 to George just two years old – with Muriel aged nine and Cyril aged seven, filling the gaps in between. In the following ten years, the family seems to have grown somewhat and developed a little mystery! I love a mystery, a problem, can I sort this one out? Google map showing the proximity of Felkirk to The Grange, Monckton. In the census taken in 1901, there were four children in the family, but 1911 census as well as being the accepted children that follow George, there seems to be one that fits in between Cyril and George – where was that child in the previous census? Was she living with grandparents or staying with friends? Before I go off and look for her I’ll tell you who was in the house in at Monckton in 1911 – Jno Edward Litherland was still head of the house, followed by his wife, Edith. She was followed by Ernest, 20; Muriel, 19; Cyril, 17; Francis Jane, 16 (our new inclusion); George Thomas, 12 and followed by Richard Douglas aged 6. There was also a visitor and his wife, George Edwin Hoey and Ann. George was an Accountant. The family were looked after by one servant, 23-year-old Susannah Moore from Royston. Life must have been good for the family as their home in Monckton, was called The Grange – a rather nice Gentleman’s residence consisting of two big receptions rooms, four bedrooms, attic rooms, approx. three acres of land and various outbuildings. Where are you, Frances? As Frances was born in c1895 it seems obvious to look for her in the 1901 census. After a few minutes of looking through the transcriptions, there she was! Frances was living in the house of widow, Thomas Braithwaite, aged 52 from Darton but living in Selby and employed as a Surveyor Highways. Remember the surname Braithwaite, well it looks like Frances was living with her uncle and three cousins – that problem is solved, but why was she there? That one I don’t know the answer to! Ernest is the main focus of this blog, so let me tell you what happened next. Ernest, along with his younger brother Cyril, was employed as Clerk’s at a local colliery, probably, the same one his father was Commercial Manager at. The war, The Great War as it became known, the war to end all wars, well, they did say that at the time, but we all know it didn’t. Ernest joined the army in 1916 – the 3rd of August 1916, he became part of the Royal Flying Corps., with the service number 42446 and rank of a driver in the 27 KBS (Kite Balloon Section). On the 1st of April, Ernest became part of the RAF (Royal Air Force), after its formation that same year. A promotion followed two months later when he was given the rank of Air Mechanic 2nd Class. Ernest was 5 ft 5¾ in tall with a chest of 32 inches. His hair or eye colouring is not noted on his Airman’s Record, neither is the colour of his complexion – would you or I recognise him walking down the street, possibly not but sometimes even the smallest bit of information tells so much. would have gone through similar torment? Ernest was laid to rest on the 26th of February, in the churchyard in the small hamlet of Felkirk, beneath a family headstone, bearing the inscription ‘In Affectionate Memory of Ernest William, beloved and eldest son of John Edward and Edith Mary Litherland of Monckton Grange, who passed away February 22nd 1919 after service in Salonica with the Royal Air Force. Aged 29 years. Thy Will Be Done, O Lord’, only a short way away from his home, The Grange. Probate for Ernest was granted in London and the sum of £579 5s 11d granted to his brother Cyril, who was now working as a Colliery Salesman. Money from the military, £22 4s 7d, including a War Gratuity of £14 10s, was paid by draft to his brother Cyril in March 1920. Ernest’s family were eligible for his medals, the British and Victory Medals – only those two as he enlisted after 1915, which were dispatched to the family in September of 1921. Further sadness was to come to the family in 1926 when John Edward Litherland died aged 61, followed by Edith Mary in 1932, aged 62. Earlier there was a mention of members of the Hoey family living with the Litherland’s in 1911. Who were they? Well, it appears the Hoey’s were related as John Edwards mother was a Hoey, another question answered. There is another memorial plaque in Felkirk church, but that will have to wait for another time. This entry was posted in General on December 31, 2018 by carol. It is known that if you are remembered on a plaque inside a church, you are more than likely dead. Some who are remembered on those plaques have lived a long and fulfilling life, while others, their future was cut short. Their dreams not fulfilled or their potential never achieved. ‘In ever honoured memory of John Fraser Hoyland. Captain 4th Batt Lancashire Fusiliers. Only child of Clement Edward and Louisa Eddie Hoyland of Stock Park, Finsthwaite, Co. Lancs., & only grandchild of John and Mary Anne Hoyland of Brierley. John being killed in action must have been such a devastating loss for the family – an only child and only grandchild – a families future, gone forever. To go back to happier times for the family. Clement Edward Hoyland had been brought up at Brierley Lodge. He attended Uppingham School, followed by Trinity College, Cambridge and gained employment as a mining engineer. He married Louisa Eddy Fraser in St John’s Episcopal Church, Forres, Morayshire, Scotland and brought her south. 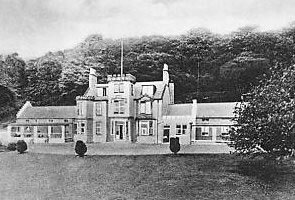 In 1901 Clement and Louisa were living at Shatton Lodge, Embleton, Cumberland. He gave his occupation as ‘living on his own means’. John Fraser was not with his parents. Where was he? He was a boarder at the High School, Keswick. John Fraser Hoyland was baptised on the 1st of July 1895 in the church at Felkirk, while his parents were living at Ravenfield Cottage, Rotherham. When the census of 1911 was taken Clement and Louisa were staying at Grange Hotel, Grange over Sands, while their son was a boarder at Malvern College. While at the College he became a House Prefect and was part of the Shooting 8 1913-1914. A sound reliable boy, the College classed him as an excellent leader and a good shot. On leaving the College he secured a commission in the Lancashire Fusiliers. John’s rank was 2nd Lieutenant when he entered France, which must have been before 1916 as he was eligible for the Star, the British and Victory Medals. His service records confirm this, by telling that he went straight into the army from school and had seen service in Surla, Imbros and in Egypt. John was reported missing in October 1916 and presumed killed in action – according to his College. The Commonwealth War Graves Commission has his death date as 26th September 1916. He is remembered on the Thiepval Memorial to the Missing near Picardie, France. Probate for John’s estate was left to his father, Clement Edward Hoyland, gentleman – the sum of £285 12s 10d. His father on the other hand when he died in 1951 left £44623 15s 3d to The Midland Bank Executor and Trustee Company Ltd., Arthur Herbert Moss and Charles Edward Copley. Chartered Accountants. By the time of his death, John Fraser Hoyland had been promoted to the rank of Captain. His entry in the Register of Soldiers’ Effects informs that he died ’28. 9. 16 on or since’ and that the sum of £148 9s 11d was due to be paid. After his son’s death Clement, in November 1920, applied for the medals relevant to his sons service, which was sent in January 1921 to Finsthwaite House, Ulveston. The family seems to have been well connected with a variety of houses connected to the family including, Stock Park, Ulverston; Brinkworth Hall, Elvington; Finsthwaite House, Ulveston; Brierley Hall, Yorkshire; Shatton Lodge, Embleton and Felkirk Vicarage. Riach was my mothers maiden surname, so it seems appropriate to include another Riach in my rambles. Born in Oxfordshire in 1899, Nigel was the son of Lt. Colonel Malcolm Stewart Riach and his wife Marion Alexandra Gertrude Hall. Shortly after Nigel’s birth, the family had moved to Bandrum House, Saline in the County of Fife and it is here you will find them in the 1901 census. Malcolm aged 40 gives his occupation as Major in the Cameron Highlanders. Marion, his wife is aged 36. Malcolm A S Riach is aged 9, while Ronald is 7 and Nigel is 1. Bandrum House is quite a large property and now, heavily extended, is a nursing home, but back at the turn of the century 7 servants ran the house – including a 22-year-old Governess named Rosa Shelton; 47-year-old Cook, Harriet Bridges other domestic servants including a Domestic Nurse and finally a young man, aged 22, with the lovely name of William Heavens was the Coachman. The family could possibly have taken some of their staff with them as a few of their staff were born in England. Ten years later, in 1911, Nigel is an 11-year-old student of Wellington College. The College founded in memory of Arthur, Duke of Wellington has always had strong military connections. Many Old Wellingtonians were already serving in the military but during the outbreak of what became known as The Great War, many more were to join their ranks – over 400m signing up within the first months of the war, with hundreds more signing up on completing their education. The College has a website to remember their former pupils who paid the ultimate sacrifice. Nigel, like old Wellingtonians, before him enlisted in the services. It is his medal card that gives a clue to when his enlistment took place. There are two medals attributed to Nigel – the British and Victory Medals, this means that he enlisted after 1915 in Taunton, Somerset, which ties in nicely with him being aged 11 in 1911. The card also informs that he served in the A & S H ((Princess Louise’s) Argyl and Sutherland Highlanders) regiment with the rank of Private and service number S/23725. He had initially served with the 14th Bn. A & S H but later became part of the 42nd Brigade. Nigel and his fellow soldiers took part in the Battle of St Quentin Canal in 1918 and it is during this time on the 28th of September that he was wounded. 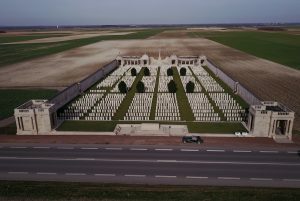 He was taken to a CCS (Casualty Clearing Station) and it was here that he died of wounds on the 30th of the month aged 19. Marion, his mother was, in 1919, to receive just over £10 from the Army, which included a £4 10s War Gratuity. Nigel’s elder brother, Malcolm served in The Grear War as an officer in the Queen’s Own Cameron Highlanders, while Ronald served as a Lieutenant in the Motor Transport section of the Royal Army Service Corps after entering France in February 1916. This entry was posted in General on December 16, 2018 by carol.